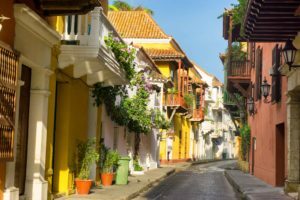 Home/Blog / Considering Having Your Plastic Surgery in Columbia to Save Money? Think Again! So you want to save money on the breast augmentation that you have been dreaming of having? Or maybe it’s a tummy tuck. Whatever aesthetic enhancement that you are contemplating, you may have heard that by traveling to other countries where inexpensive cosmetic plastic surgery is advertised, you can save a lot of money. In many cases, this can amount to thousands and thousands of dollars. And, the marketing information promises well trained plastic surgeons, excellent care, modern or well-equipped facilities and recuperation in luxury hotels all for a fraction of the price that you would pay in the United States. Practitioners in countries around us like Mexico, Costa Rica, Columbia and Brazil seek to attract this lucrative business but realize that your best interests are not necessarily their number one priority. The top consideration of most is just to make a lot of money. Known as medical tourism, you can surely place your health and life at risk when having your cosmetic surgery performed in another country like Columbia or Mexico. Of course, there are some very reputable international centers renowned for plastic surgery but, as always, it should be buyer beware. I have written about this in the past with the two most recent blogs being “South of the Border is Usually a Bad Choice When it Pertains to Plastic Surgery” and “Scar Revision for Hypertrophic Facelift Scars Resulting From Surgery Performed South of the Border” . In these, Mexico was prominently mentioned. Though problems can occur anywhere, Columbia has also been a major destination for Americans seeking plastic surgery procedures with around 75,000 visiting in 2016. In Columbia as well as elsewhere, you generally don’t have anywhere near the same level of skill and protections there that we have in this country. Many of the practitioners that advertise and perform cosmetic surgery in Columbia are not plastic surgeons. Or even doctors. It is not rare for some of them to even have little to no medical training. Though their credentials may appear legit, they might have been obtained fraudulently through bribery or other means – not insignificant problems at least in the past. So, you can do your research and think that you are getting a well-trained, reputable plastic surgeon when in actuality he/she may just be a dentist or even a masseuse. Surgery that is performed in a substandard fashion or worse may leave you with little or no recourse there including an inability to pursue corrective surgery. Of course, you may have little faith or desire to have it redone there no matter the cost. There are often challenges finding a plastic surgeon back home willing to assume your surgical care including considerations for revisions and even reconstruction. Financial issues can be really problematic and there is often little recourse for legal action. It is not rare that the ultimate total financial costs to you by going through this medical tourism route including the subsequent care, corrective surgery, etc. far exceeds what you would have paid to be treated by your local plastic surgeon. Furthermore, you could have avoided all the extreme stress, aggravation, and time off from work, school or other activities. And, you would probably not have had to deal with permanent, undesirable and unnecessary scars, deformities and other sequelae from your improperly performed surgery. So if you are considering having your plastic surgery done outside of the United States such as in a country like Columbia, you really must think long and hard about this approach. If you would like information on any plastic surgery procedure that I perform or to schedule a consultation, please call my office at (480) 451-3000.